Here’s a little known, or often forgotten, useful feature to get more likes on Facebook not a lot of people know about. It’s a way to capture Facebook likes from people that are already interacting with your brand. You’re not just asking people at random – these are people who have already liked at least one of your posts, so you know they are interested. This new feature allows you to get these users fully engaged by inviting them to like your page as well. 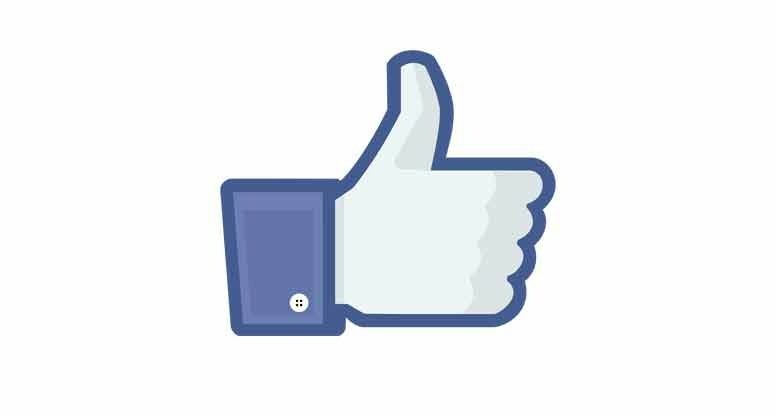 Think about it – you often pay to reach a new audience on Facebook, which gets you lots of likes on your post(s). But that doesn’t always net you a true “like” or follower. This new feature fills that need. And it only takes a few minutes per day. While a Facebook like is not a purchase, it is the next best thing to building a house email list. So ignoring this new feature is like not having an email signup box on your website. All those who already like your page will show the box “Liked” next to their image. 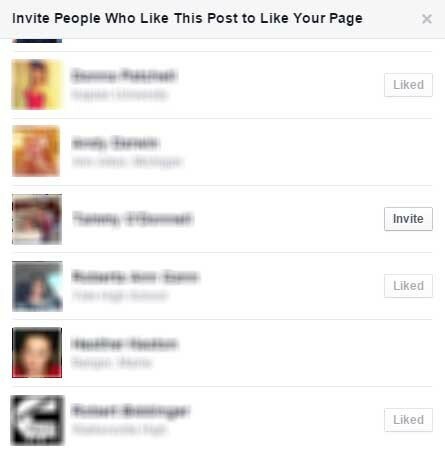 But those who have not liked your page will show the box “Invite” next to your image as shown above. Clicking on the Invite button sends them a message to like your page. It helps you identify people that are already interested in your brand. You know this because they saw a friend’s post that liked your content and then liked it too. It tells you this person has not yet liked your page – but is a good candidate to do so. It gives you a relevant reason to personally invite a person to like your page. It helps grow your community – which in turn grows your brand. This also builds your reach when advertising to “people who like your page and their friends.” This is a useful tool because users who like you are more apt to respond to your advertisers than users who don’t like you. This goes back to that “house list” suggestion above. This also encourages brand recognition. You’re creating two touch points, or two brand imprints, from a single Facebook post like. This also helps the reach and engagement of your page steadily increase over time. We are happy to get this started for you. Or if you’d like to try it yourself, please go ahead. It takes only a few minutes a week. Simply follow the instructions above. We can also monitor and respond to these Facebook invites for you. All we would need is management access to the account. Please contact us if you’d like us to do that, or if you have any other questions about this new Facebook feature.